I have recently run into several people, whether it be at work, the store, the hair salon, or even a local fundraiser for a fellow community cancer family, that have asked about Maya. Some times the days go by and I don’t realize how long it has been since I have written an update…and I know I should. For both you and for me. Mostly because I know people want to know how The Dragon has been and what she might be up to. And also for me because I know it helps me to cope with all this. I have, yet again, found my self silent lately because I really just don’t have words to write. Certainly no beautiful and inspiring words. But…it has been long enough that I will offer an update…or at least some words. Nothing terrible has happened and we have, some how, stayed out of the PICU (knock on wood). The kids have been “grounded” in a sense to the home for a couple of weeks now and everyone is antsy but we carry on with our day to day relying on our amazing retired parents that make time to hang out with our wild kids so that I can continue to work a few days a week. We also rely on the invaluable friends that are family who will drop anything and everything for us if we have a last minute meeting or some random thing that pops up….if they are feeling 100%, of course. While we have missed (or will miss) some fun things, we made it to my best friend’s birthday dinner (Happy Birthday Megan!) and some other fun things. Come what may, we have managed our lives the best we can. And in my opinion, I find that remarkable. So, as you may know, Maya (AKA FireFlash) spent a week at school before we had to pull her out. She then went back for two days after finding out her ANC was 900. The following week (last week) her ANC was 442. Out of school once again. It feels daunting to keep up with all this so to write an update with every “to and fro”…I just can’t. Last week, when her ANC was 442, the protocol would have been to hold her chemo. We had just come off of a chemo hold so the doc was hesitant to hold again. I feel that I need to remind us all that the more chemo holds…the more chance of relapse. So we discussed a slightly lower dose of 6MP, the continuance of Methotrexate, allopurinol, and Decadron…and off we left the clinic. The doctor continues with the opinion that she is still highly sensitive to the 6mp and that this is not looking like relapse…and I hold on to that little nugget of information as tight as scales hold on to a fish. A while back I asked the doc if we should just surrender to weekly lab checks but Jake (DrZ) was optimistic that we could likely manage with bi-weekly checks….hah, we all know how things change. Back to the clinic we went today (a week later). 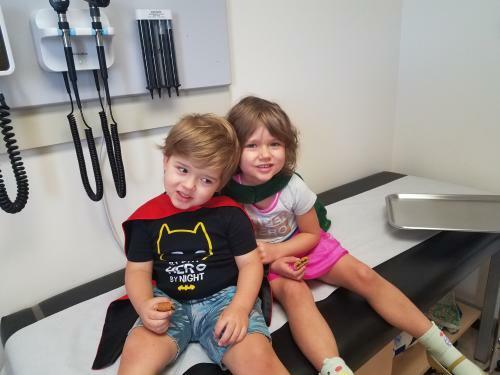 Maya, Lincoln and I made it to the clinic (both kids in medical masks and a cape because Maya can’t do anything that Linc doesn’t do…or wear…or say…or eat…or lick…or love). We got labs drawn and Maya got to show off her Strong and Calm skills as the 3/4 inch 22 gage needle gets stabbed into her chest with blood coming out of a noodle. Lincoln wasn’t scared. He watched with slight concern but held the trust that she was fine. At the end, he requested to help invert the tubes of warm blood for Denise to take to the lab. It was a nice outing. Usually Denise will call with the labs but I unusually got a text from Dr.Z that started out with “Maya is going to give me a heart attack”. 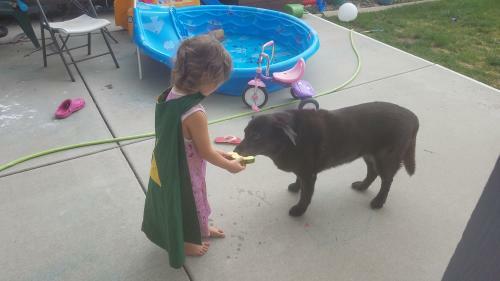 It then went on to tell me how amazing her labs were perfect aside from her ANC of….2100. He said “we will discuss”. Oh my…this child. Oscillating between neutropenia and too high. I can’t keep up. We all expected her numbers to have depleted further since once we started the 6MP again she dropped to 442…then we kept going with the meds. Is it that she just got off a week of Decadron (the steroid that can artificially inflate her ANC)? Is it another virus? Is it some other random reason? We just don’t know. But yeah…heart attack….or at least some hypertension. We will have a conversation with Dr. Z soon. Usually we would have spoken by this evening but I didn’t want to text him and since her ANC is high enough, I have chosen to return my kids to school with out asking. School and “why the hell does my kid keep doing this?” is really my only questions for him at this point. He did mentioned we will continue with the same dose of chemo but I thought I would give him a night to think about a plan. I honestly have no idea and reality is, he might not either. What I do know is that he is saving our kid’s life….and way too many other kids’ lives too. It breaks my heat to know how many families are going through this nightmare. And for some, their nightmare never ends. Scott and I were able to go to the Shoe Tree Brewery’s fundraiser for Iliana Avila’s family yesterday. 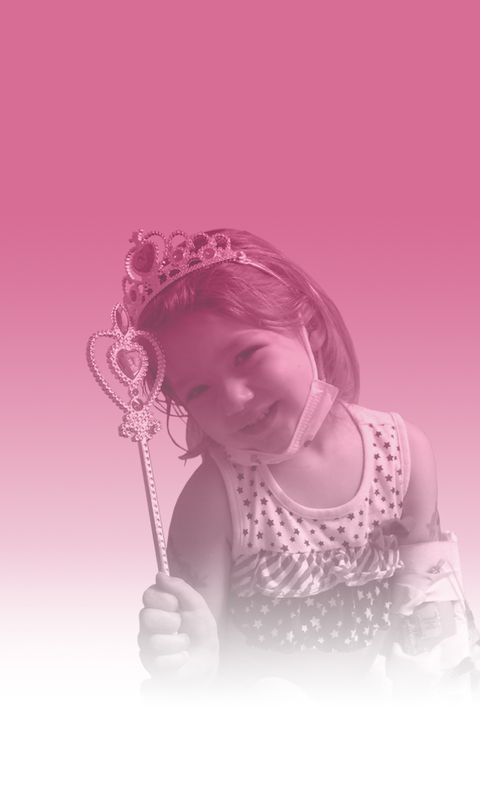 Iliana (she is 8) was recently diagnosed with a brain tumor and the prognosis and treatment sound (and feel) way too familiar to my best friend April’s diagnosis…and prognosis. I don’t think it is a glioblastoma but something that has her on her wish trip as soon as possible and her family at her side soaking in every moment and memory possible. So when thinking about our situation, it feels okay. We are okay and life isn’t all that bad. My dark hours in the night aren’t as dark as Iliana’s moma’s…at least I don’t imagine they are. But maybe I selfishly don’t want to image her’s. We have our children at home. And while Maya might not be the healthiest, our children get to live a life of a child. They are learning, eating, drawing, singing, dancing, laughing, and loving. And for that, I am grateful. So amazingly grateful. I am also grateful for My Love. More and more with each day. He is incredibly busy at work…and killin’ it on little sleep and more stress than I wish on an enemy. He makes me proud and while we are in our “thirty somethings”…and maybe closer to forty than thirty…he makes me love him deeper than ever. I get butterflies thinking about the first days we met and how exciting it is to fall in love. Then I get this amazing sense of rapture as I experience the idea of how he is mine. And I am his. This life hasn’t been the easiest (and honestly, I don’t think any life is) but he makes me trust it is possible to find the easiness. He makes believe that we will find our beach again and those days of laughing while drinking coffee with no cares in the world still exist for us. I trust they do. And I trust we will get our Maya the Dragon there too. Thank you again for the continued support. We don’t have an exact plan for now but my plan…is to let my kids go to school tomorrow. And hopefully the next day. And the next. And next.